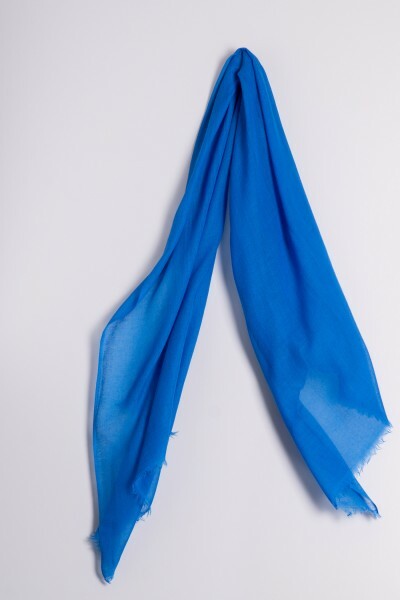 Product information "Hot Pashmina victoria blue"
The Hot Pashmina (70 × 200 cm) is another classic and lightweight cashmere that is sure add a touch of style on warmer days. The pure cashmere yarn has been processed into an airy fabric. The vibrant and cheerful colours are perfectly complemented by the delicate weave. Another fine detail is the delicate, open fringe. Our Hot Pashmina is a versatile, lightweight, and classic cashmere accessory. Related links to "Hot Pashmina victoria blue"